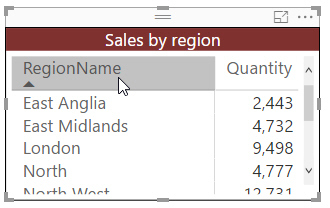 RegionName is a bit clunky - you'd like to shorten this to Region. Double-clicking works too, and is even easier. 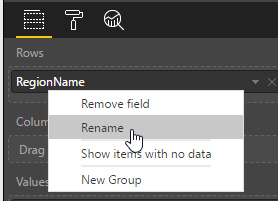 You can change the field name just for this visual. To revert to the underlying field name, you can just remove the field from the visual and then add it back again.